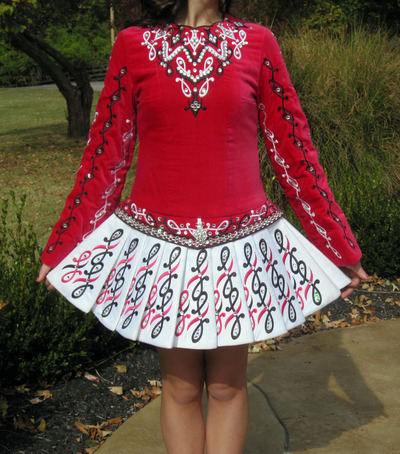 Lovely Siopa Rince dress made for our regional Oireachtas at the end of 2009. 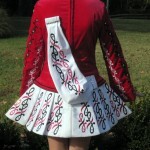 We are the original owners of this dress and have taken wonderful care of it. 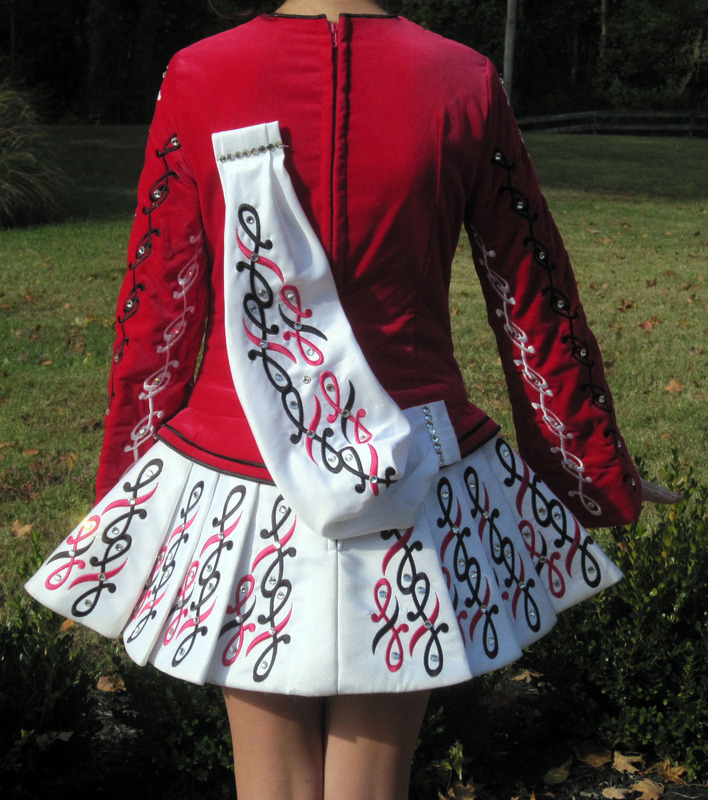 The bodice is made from richly colored raspberry velvet adorned with white and black embroidery while the skirt is white pleated tennis style with black and raspberry embroidery. The dress is covered liberally with crystals on the bodice, skirt, sleeves and cape. 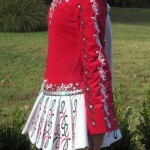 There is beautiful embroidery and stonework that SR added at the waistline. The dress moves and sparkles beautifully on stage. The dress has always been stored flat in our non-smoking home, has always been worn with underarm shields and our Paddy K top and has always been aired after every use. 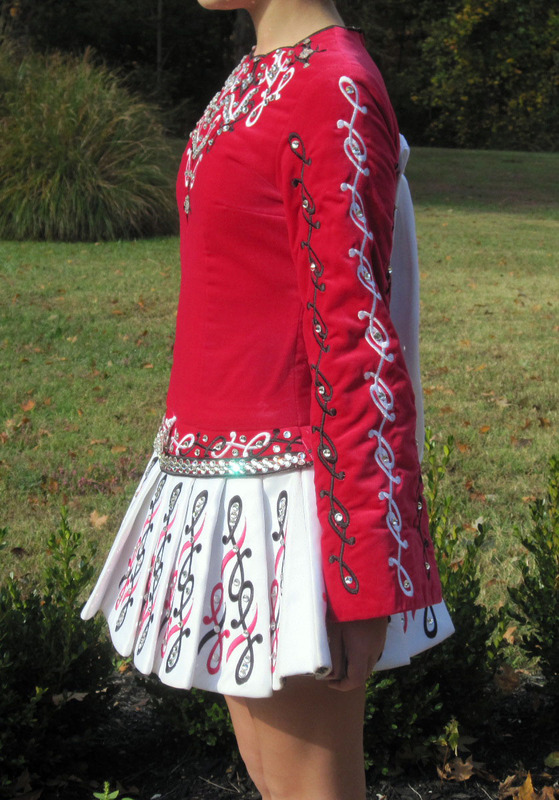 Includes a soft cape, metallic leopard print underskirt and matching bloomers, original SR embroidered headpiece backing, crystal headband, all original paperwork and extra material from SR. Can email original receipt and measurement sheet upon request. Thanks for looking! Dress has never been altered so some room for let out and let down. Asking Price: $US1500. Shipping costs not included. Returns are negotiable.